The ratings for The Lying Game remained pretty consistent during the first season. They were strong enough to get the ABC Family drama renewed. Will the numbers go up or down this season? Will the show be cancelled or renewed? Stay tuned to find out. The Lying Game follows the story of a set of identical twin girls who discover each other as teenagers. The cast includes Alexandra Chando, Alice Greczyn, Allie Gonino, Andy Buckley, Blair Redford, Charisma Carpenter, Helen Slater, Kirsten Prout, and Sharon Pierre-Louis. The following are the latest TV ratings for the second season of The Lying Game, the best way to tell if this TV series will be cancelled or renewed for a third season. The show typically airs on Tuesday nights on ABC Family. UPDATE: ABC Family has cancelled the series after two seasons. Final season averages: 0.5 rating in the 18-49 demographic with 1.27 million total viewers. 0.5 demo rating (0% change) with 1.11 million (-9% change). Season averages: 0.53 in the demo with 1.27 million. 0.5 demo rating (0% change) with 1.22 million (-2% change). Season averages: 0.53 in the demo with 1.29 million. 0.5 demo rating (+25% change) with 1.23 million (-5% change). Season averages: 0.54 in the demo with 1.30 million. 0.4 demo rating (-20% change) with 1.30 million (+7% change). Season averages: 0.54 in the demo with 1.31 million. 0.5 demo rating (-17% change) with 1.22 million (-2% change). Season averages: 0.57 in the demo with 1.31 million. 0.6 demo rating (0% change) with 1.25 million (-9% change). Season averages: 0.58 in the demo with 1.33 million. 0.6 demo rating (0% change) with 1.36 million (+6% change). Season averages: 0.57 in the demo with 1.35 million. 0.6 demo rating (+20% change) with 1.28 million (+5% change). 0.5 demo rating (-17% change) with 1.22 million (-22% change). Season averages: 0.55 in the demo with 1.38 million. 0.6 rating in the 18-49 demographic with 1.55 million total viewers. Season averages: 0.60 in the demo with 1.55 million. Reference point: The first season (20 episodes) averaged a 0.5 rating in the 18-49 demographic with 1.38 million total viewers. What do you think? 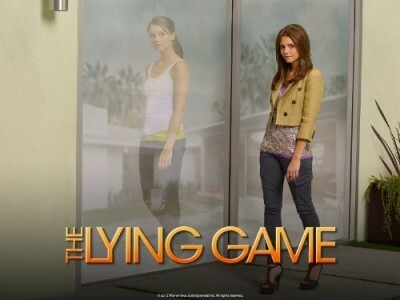 Do you like The Lying Game TV series? Do you think that it should be cancelled or renewed for a third season? Please bring this back! I’m sorry I didn’t watch it when it was on!!! I really really am but holy Netflix! I need this show in my life! Comon ABC Family! Help!! Please bring this back !!!! Please bring this show back !!!! This show was soo good, I looked forwarded on watching it. I made into a girls night to hang out by house ann watch The Lying Game there was 5 of us’ we are so bummed that they cancelled it please please bring it back… We NEED to know what happens !!!!! No please don’t cancel the lying game, I can’t wait to find out what happened to Annie/Rebecca and what about Tayler what is going on there. You can’t pls don’t cancel this, I love this show, networks always cancel the shows that ppl love to watch and keep the corny ones. Pls don’t cancel. Please bring back the Lying Game. Why was it cancelled in the first place? It is just as good as Pretty little Liars which got on my nerves about A. You need to bring back The lying games. Leaving it the way you did is not right. If you only bring it back for at lease one more season so fans know the answers to all the questions we have about who killed teresa and alex. We need to know what will happen and see who ends up with who.